Silver tooth fillings (amalgam) – those silvery fillings sported by many a mouth – have been at the swirling center of a dental controversy. Once the standby for filling cavities in teeth, questions about the safety of silver amalgam have many wondering if they should have their fillings replaced with a different material. What’s the answer? That depends on you, your dentist, and your teeth. What Is Silver Amalgam (Silver Tooth Fillings)? Silver, or dental, amalgam has been the stand-by filling material for more than 150 years. Most people recognize dental amalgams as silver tooth fillings. Silver amalgam is a mixture of metals, namely mercury, silver, tin and copper. Some dentists prefer dental amalgam because it is easier to work with than other alternatives, such as resin composites made of plastic and ceramic compounds Patients often choose amalgam because it’s effective, usually less expensive than alternative fillings, and fills cavities quickly. It’s estimated that more than 1 billion amalgam fillings are placed annually. Why Are Silver Tooth Fillings Causing Controversy? As previously stated, mercury is one of the metals that is used in creating silver amalgam, and that has many worried. Mercury, which makes up about 50 percent of the compound, is necessary to bind the metals together to provide a strong, hard, durable filling. Even after years of research, mercury continues to be the only element that will bind these metals together in such a way that it can be easily manipulated to fill a cavity. Metallic mercury – specifically inhaling metallic mercury – has been linked to health issues including headaches, tremors, emotional changes, and muscle weakness. However, the American Dental Association (ADA) maintains that silver amalgam remains a safe, affordable, and durable cavity filling choice for dental patients. Patients are exposed to more mercury in their food, water, and air than they are from their fillings. Not only that, the U.S. Food and Drug Administration (FDA) does not recommend the unnecessary removal of amalgam fillings from patients who have them because a small amount of mercury vapor is released during the removal process and removal of the filling could affect the structure of the remaining tooth. What you choose to do with your silver tooth fillings (amalgam) is up to you and your dentist. If your amalgam fillings are deteriorating (even the best fillings usually don’t last a lifetime), then it’s a good idea to have them replaced. If the seal between the tooth enamel and the filling breaks down (sometimes called a “leaky filling), food particles and decay-causing bacteria can work their way under the filling. That could lead to additional decay in the tooth. Untreated, the decay could infect the dental pulp at the center of the tooth and result in an abscess. Of course, there are other filling options besides silver amalgam. Composite resins are a popular choice because they blend in with the natural look of the tooth. However, they usually don’t last as long as silver amalgam, particularly on the molars, which take the brunt of the daily tooth grind. Gold is also a filling option – albeit a historically pricey one – as are ceramics and glass isomers. Ceramics fillings are often of comprised of porcelain, are more resistant to staining than composite resin material. This material generally lasts more than 15 years and can cost as much as gold. Glass ionomer is made of acrylic and a specific type of glass material. This material is most commonly used for fillings below the gum line and for fillings in young children (drilling is still required). Glass ionomers release fluoride, which can help protect the tooth from further decay. However, this material is weaker than composite resin and is more susceptible to wear and prone to fracture. Glass ionomer generally lasts five years or less with costs comparable to composite resin. Deciding which type of filling to use is up to you and your dentist. 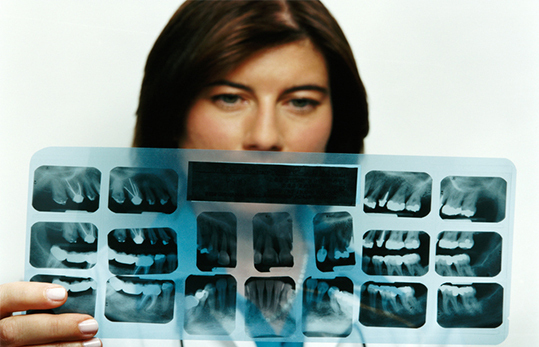 You’ll have to take into account the size and location of the cavity, cosmetic concerns, and cost. Ask your dentist to discuss all of the choices available for dental fillings and help you decide which alternative is right for you. If you have questions about your silver amalgam fillings, we can give you answers! Schedule a visit with Dr. Wolnik at (440) 888-5055, or book an appointment straight from our website (click on the green “Book an Appointment” button). This entry was posted in Expert Dental Advice, General Dentistry, Senior Dental Care and tagged Dental Fillings, Senior Dental Care. Bookmark the permalink. Follow any comments here with the RSS feed for this post. Both comments and trackbacks are currently closed.